Two bands excelled against some stiff competition on Friday night to win Band Slam and become the final acts that will perform with an incredible line up at T-Live on 7 September. M.A.D.I.S.O.N and The Making will now perform alongside star bands McFly, Stooshe and the Loveable Rogues at the QEII Fields In Trust Arena in Telford Town Park on Saturday 7 September. T-Live will mark the final event of the T-Party festival which begins on Friday 30 August. Performances will come from The Vamps, The Loveable Rogues and Stooshe before McFly take to the stage to entertain crowds with their headlining 75 minute set. In early June local bands were asked to put themselves forward for a chance to perform at T-Live. 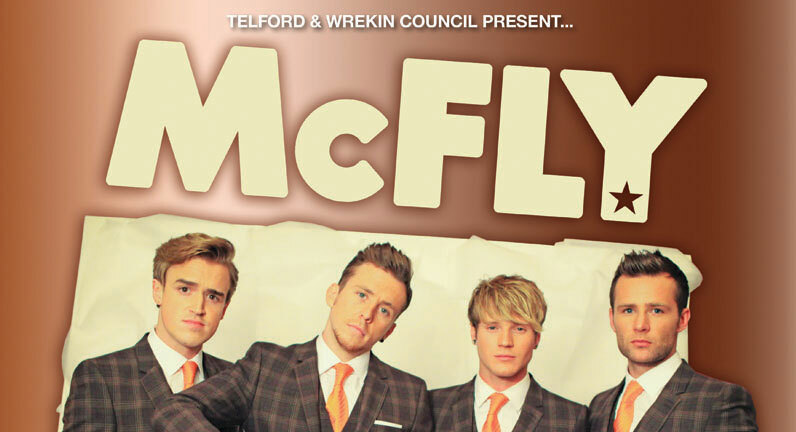 Eight bands were chosen from the 24 who applied to take part in Band Slam at Oakengates Theatre @ The Place where they would compete for the two remaining spots to perform on the same stage as McFly. After an extremely tight battle on the night where all the bands performances wowed the audience, the T-Live production team deliberated and announced just this week that MADISON and The Making had made it. The bands will now be the opening two acts for T-Live! Leader of the Council, Councillor Kuldip Sahota, added: “I’m delighted that we have got two such talented local bands opening T-Live. “It’s a fantastic opportunity for them to showcase their music alongside some very popular acts. “Band Slam provided all eight bands with the chance to perform in front of a keen audience and the night was very successful. Tickets for T-Live cost £35 for adults and £30 for 11-16 year olds but holders of registered Telford Loyalty Cards can snap up their tickets for £32 and £28 respectively. Tickets for 5-10 year olds are just £10 and Under Fives will get in free but need to be booked by phone. Tickets are available online at http://www.theplacetelford.com/ or from the box office on 01952 382382. Alternatively you can pop in and buy them in person at from Telford Ice Rink and Oakengates Theatre @ The Place.